May be delivered in bud stage. 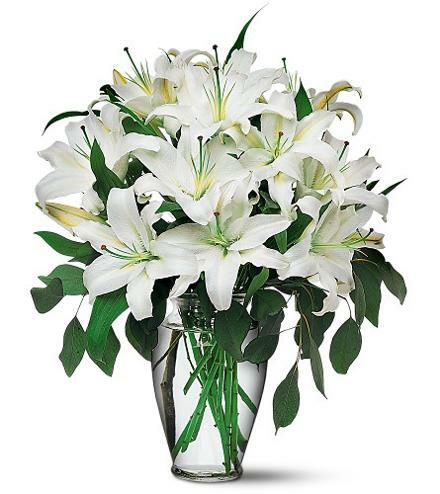 Open white lilies often not available for same day or even next day delivery. Number of stems in vase may vary.